Reddened light from the setting Sun illuminates the cloud banks hugging this snowy, rugged terrain. Inspiring a moment of quiet contemplation, the sunset scene included a remarkable pillar of light that seemed to connect the clouds in the sky with the mountains below. 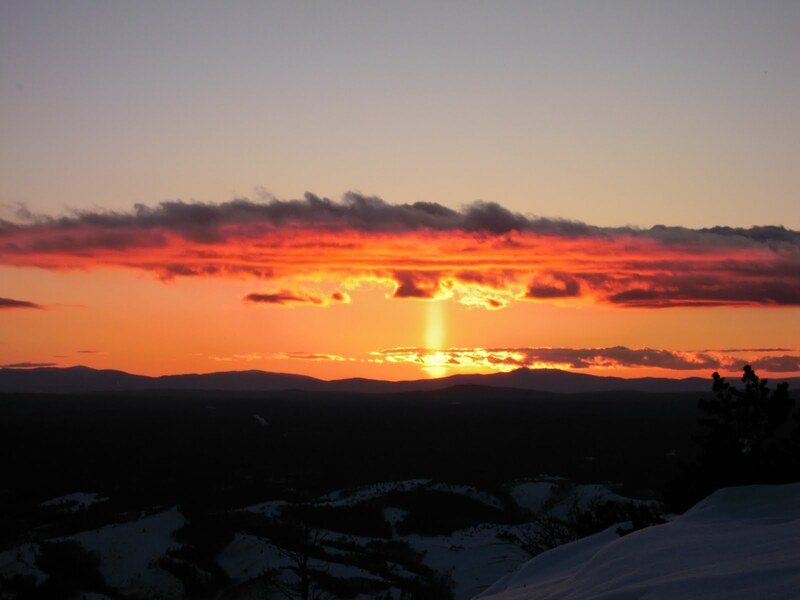 Known as a Sun pillar, the luminous column was produced by sunlight reflecting from flat, six-sided ice crystals formed high in the cold atmosphere and fluttering toward the ground. In March 2010, astronomers watched this Sun pillar slowly fade, as the twilight deepened and clearing, dark skies came to Mt. Jelm and the Wyoming Infrared Observatory.